Brooke LaFlamme is the Chief Editor of Communications Biology. Brooke LaFlamme found her career in scientific publishing through informational interviews. She recommends trainees interested in science communication fields start writing early and often. In the Decoding Life series, we talk to geneticists with diverse career paths, tracing the many directions possible after research training. This series is brought to you by the GSA Early Career Scientist Career Development Subcommittee. What experiences have influenced your career trajectory? When I started college, my plan was to be an English major. I’ve always enjoyed writing, and that interest has merged together with science to form my career in science publishing. I can make a narrative about it when I look back, but at the time it felt like a random walk. In my freshman year, I took a cosmology course for a general education science requirement, and the professor talked about how important the scientific method was to daily life. I remember thinking, “This sounds really cool!” Because of that class, I decided to major in a scientific field and chose molecular biology. I spent three years pushing flies around in Teri Markow’s lab at the University of Arizona and then decided to pursue my PhD in Drosophila reproduction with Mariana Wolfner at Cornell. After I finished my PhD, my husband moved to NYC, and that determined where I was looking for jobs geographically. I did a one-year postdoc at Weill Cornell Medical School in mammalian stem cells, but changing fields didn’t make bench work any more fun for me. I had known for some time that I didn’t really want to stay in the lab. Even though I had enjoyed grad school, I realized that doing experiments all day wasn’t for me. I would rather spend my time thinking about science, talking with scientists, and reading papers. I wasn’t sure what kind of career I wanted, so I did a lot of google searches on “what do you do with a PhD?” and set up informational interviews to find out about different careers. I spoke with a scientific editor in the Nature Publishing Group (now Springer Nature), and he explained what the job of a journal editor entails. He also told me there was a job opening in Nature Genetics. I applied and was very lucky to get the job; I spent three and a half years at Nature Genetics before becoming Chief Editor of Communications Biology in May 2017. What advice do you have for trainees interested in non-academic careers? I highly recommend informational interviews. During my job search, I looked up different careers that interested me and sent out cold-call emails to people in those positions, asking if they would get coffee (or skype) with me and tell me about their job. The worst that can happen is somebody says no or doesn’t respond. But for the most part, people want to help you and share their experiences with you. Looking up job descriptions only gives you the surface. When you talk to someone, you can find out not only the good parts of the job, but also the bad parts, too, and you can use that information to figure out which careers are a better fit for you. They are also a way of networking and establishing contacts that can help you find opportunities. Another great networking tool I recommend is Toastmasters, an international club to improve public speaking. I often find interviews nerve-wracking, and going to Toastmasters meetings helped me prepare. My biggest message is that if you are thinking about leaving academia, try not to judge yourself. I think there’s a period you go through of feeling like leaving makes me a failure, and you have to realize that’s not true. It’s unfortunate that there is still a lot of stigma associated with deciding not to do research, even though there aren’t enough faculty positions for everybody who has a PhD and that lifestyle isn’t going to appeal to everyone. What career development activities as a trainee helped you prepare for a career in science communication/editing? Your chances of getting a job in science communication get better the more you do science communication as a trainee. In graduate school, I took a two-day workshop on science communication. It covered everything from on-camera interviews to writing press releases and blog posts. This helped me think about how to frame my work for a general audience, and after the workshop, I decided to keep it going by starting my own blog. Some weeks, I would spend hours writing about the interesting findings of a paper, while other times I would have half an hour to write something up. I didn’t have a huge following, but it was a lot of fun. The more you can get exposure for your work and writing, the greater chance you have of someone recognizing you when they look at your CV. I think my resume stood out because my blog demonstrated that I thought about science across a wider field than just my specific area of research and could convey the content and significance of those papers—that’s pretty much what I do on a daily basis now. What does your day as a journal editor entail? The core of the job is reading the manuscripts that come in. We start by reading the whole paper and comparing it to articles in other publications and manuscripts that have previously been sent for review or been rejected at our journal. We start to determine what the relative advance of the paper is, what is novel about it, and whether it meets our criteria. We then decide which papers go to review and which don’t. When I first started, rejecting papers was difficult—especially because I remembered what it was like to have my papers rejected. Occasionally, you meet with people who are angry about the decisions you’ve made. I manage that by making sure I have an objective set of criteria that I can explain to an author; this usually helps them understand the process and feel better. 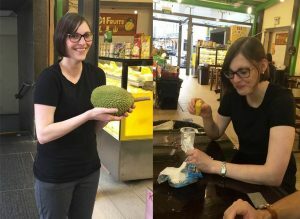 As editors, we understand that what we decide to publish in the journal can, to some extent, shape the direction of the field, so we take this very seriously. Our decisions take into account the journal priorities and the areas of science we would like to see advance. While I don’t personally discover new cool things anymore, I get my hands in science indirectly. 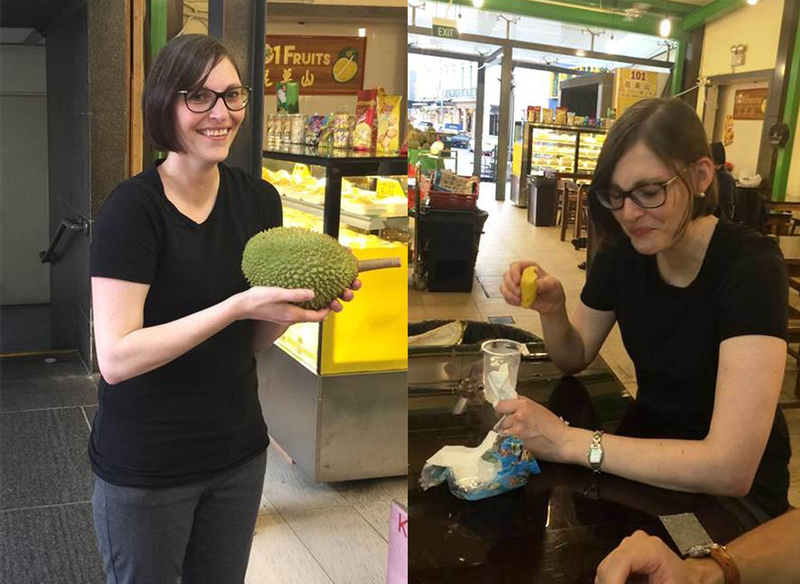 Brooke tries durian during a trip to Singapore to visit authors. The rest of the day we spend following up with reviewers, reading and synthesizing review comments, making decisions, and corresponding with authors at all stages of the publication process. However, our job doesn’t stop at publication. We handle correspondences related to published paper and relevant critiques, and we help authors work through any issues that might arise. A lot of my time is spent talking to authors through email and on the phone. We also organize and attend conferences as well as go to labs to meet with people to discuss their research. As a chief editor, I do all those things, and I am also in charge of getting a new journal off the ground and shaping its direction. This requires more strategic thinking and marketing in addition to managing a team and training new editors. I do work at a corporation, so we have a lot of meetings about policy or administrative things, but we also get together to think about how to make scientific publishing more transparent and research more reproducible. How do you use your genetics PhD in this position? Most of the skills you gain in a PhD are transferable. Aside from lab skills, the ability to find and synthesize information quickly, read a scientific paper, and communicate your ideas well are all transferable skills. Genetics teaches you to think about how things work together and how you can build a system that’s translatable to most areas of science. Most directly, I make use of the skill I gained in my PhD through reading papers and talking to geneticists. I am able to make helpful suggestions when scientists ask me, “How could I improve this? What experiments could I do to make this better?” I use my graduate experience to help shape science, even if I’m not the person doing it anymore. How does this position compare to your experience in academia? It is a little bit of a challenge to move from academia to a non-academic, corporate environment. In academia, you are rewarded for having new ideas, trying them out, and being an individual. When you have a corporate job, it’s about staying on task, getting things done, and working as a team. We are rewarded for individual achievements, but the emphasis is on what can we can do to help the organization as a whole. From the perspective of an editor, what advice do you have for trainees? Having an appreciation for writing and communication, in general, is really helpful to scientists. I think it’s important for students and postdocs to be involved in the writing of their own manuscripts. When writing, think about the audience and the journal, and identify the key message before you start. You want your readers to gain something and enjoy reading your paper. It is also useful to be involved in the publication process, including responding to reviewers and corresponding with the editor. The editor is not your enemy, and you can contact us anytime in the publishing process. If you are interested in scientific publishing, the main thing you can do is read a lot of papers— across a lot of journals and not just in your area of research. Try to get a feel for why a paper was published in this journal, and you can start to think about it as an editor. I would also recommend familiarizing yourself with the latest issues of a journal when applying to be an editor at a specific journal. Try to see if there are any papers you think the journal perhaps shouldn’t have published. If you can demonstrate that you are thoughtful by finding a paper that you thought wasn’t suitable for this journal—and the reasons why—that’s going to impress the person interviewing you. We like to be disagreed with! 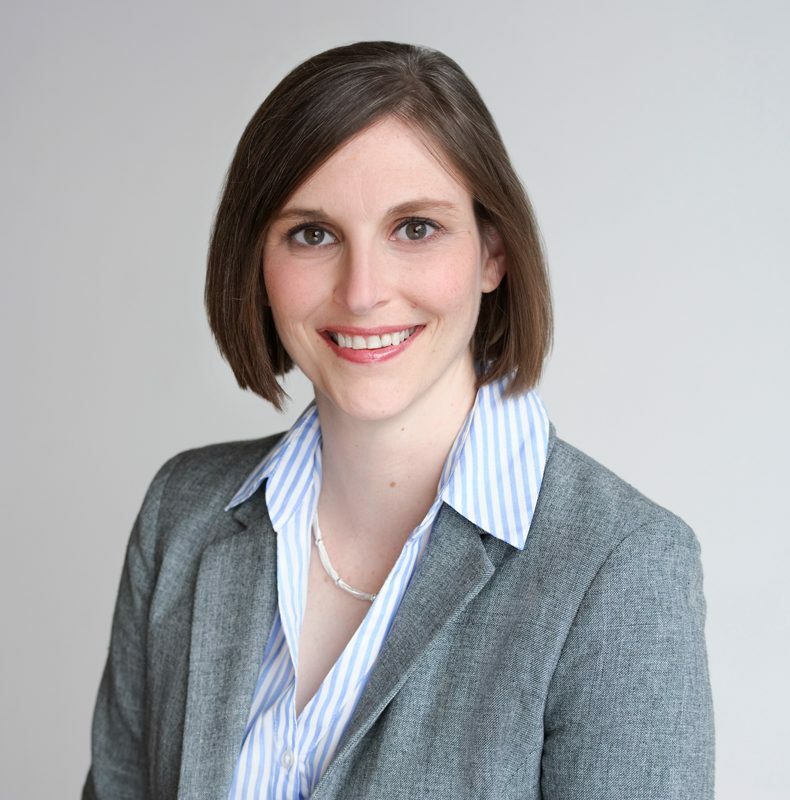 Caitlin McDonough is the Co-Chair of the Early Career Scientist Career Development Committee and a PhD Candidate in the Center for Reproductive Evolution at Syracuse University. She endeavors to highlight the varied experiences of scientists and make careers in science accessible to individuals of all identities.